Every year I like to summarize the best meals I had that year. Foods that were unique. Meals that were memorable. Dishes found at home or abroad. The one common factor? They were absolutely delicious. No Michelin star meals for me this year, but I made up for it in abundance. You’ve been warned! Delectable food follows. You can see previous round-ups from 2013 and 2014 here. While most of the food I had in Tofino, BC was delicious, this meal stood out among them all. When I walked into the Wolf in the Fog, we were greeted with a 2-hour wait which left me completely stunned. We decided to want and ended up snagged some seats at the bar. What was to come was an amazing meal. Turns out, Wolf in the Fog was recently named one of Canada’s Best New Restaurants in Air Canada’s enRoute Magazine and it most definitely deserved it. 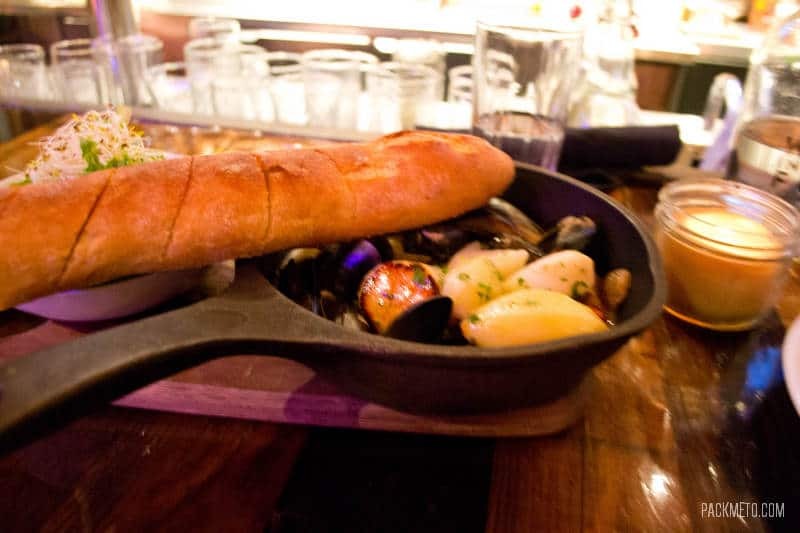 My favourite dish that night was something they called the French Bombshell with scallops, shellfish ‘bourguignon’, black cod, baguette, endive salad in a fantastic broth. I never knew I liked shrimp and grits until my meal at Brenda’s French Soul Food in San Francisco. It’s amazing what a little (or more like a lot) of butter and cheese can do to make something delicious. This restaurant came highly recommended by a number of food-loving friends and was top of my “to-eat list” in the city due to Vancouver’s lack of soul food. My friend and I ordered what seemed to have been the whole menu because our table was overflowing and we left the meal stuffed. 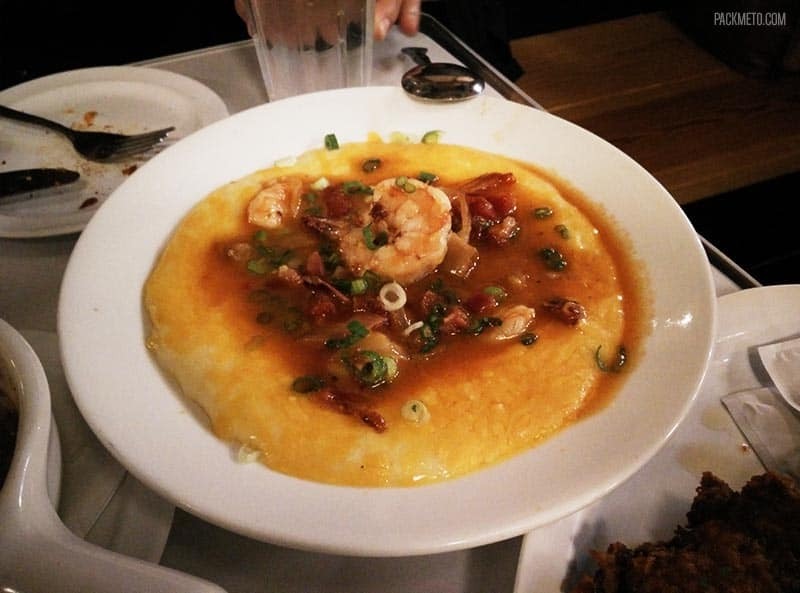 While the whole meal was delicious, the highlight of the meal was the shrimp and grits pictured above. We also tried their gumbo, fried chicken, and both sweet and savory beignets. When I revisited New York City this year for my brother’s birthday, I dragged my mother here one day to split a sandwich at Katz Delicatessen and two years later, I still maintain that this is one of my favourite sandwiches. 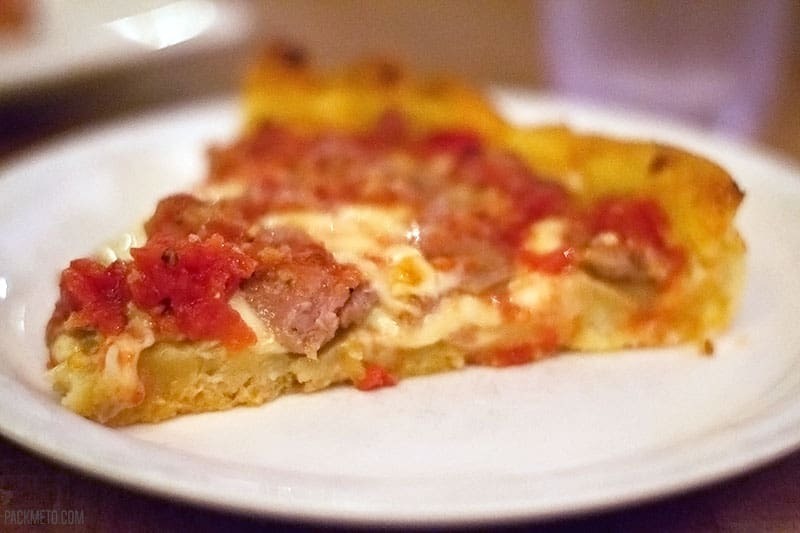 I was adamant that I get a slice of deep dish pizza while in Chicago. Traveling by myself sometimes has its disadvantages especially when you have a tiny belly like me. I definitely can’t eat a whole pie by myself so I found some friends (really they were more randoms) and went on a food tour. I loved it! This photo doesn’t do that slice justice. Tasty sausage, cheesy goodness. It was SO good. I’m glad I didn’t try a whole pie myself. This slice was more than enough for me! In general, I don’t like sweet pastries, especially not for breakfast. I love all things savory for breakfast, but that was until I tried the kringle. Kringles are a sweet pastry hailing from Wisconsin. 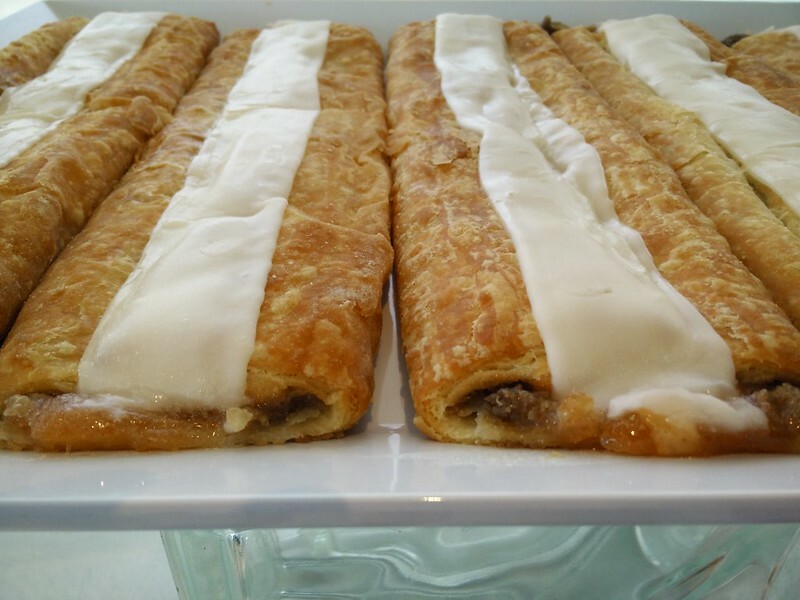 Made from layers of Danish pastry dough, it is then filled with fruit, nut, or other flavor combinations. It’s so ubiquitous in Wisconsin that it became its official state pastry! Who knew there was such a thing? When I looked at it, I didn’t think I’d like it. It looked exactly like a Danish which I stay far away from for their cloying sweetness. This, however, wasn’t overwhelmingly sweet and I really loved it. So much so that I took a slice (or two) back with me to the hotel room for late night munchies while at Bloghouse. Technically not a food, but I had no idea I even liked Old Fashioneds until I tried one in Milwaukee. 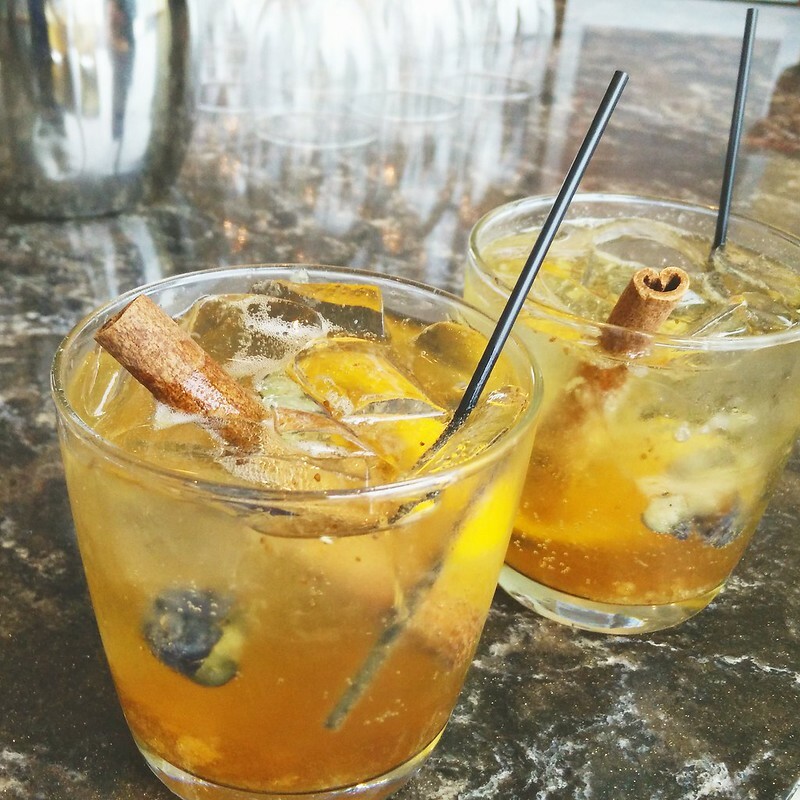 They’re typically made with brandy, bitters, a sugar cube, orange slice, and seltzer. I can assure you that they’re absolutely delicious and definitely not old fashioned in my book! My work brings me to some pretty cool places around Vancouver and Yew Restaurant was one of them. While the food was sensational for the celebration party that we threw, these little tacos blew everything else out of the water. 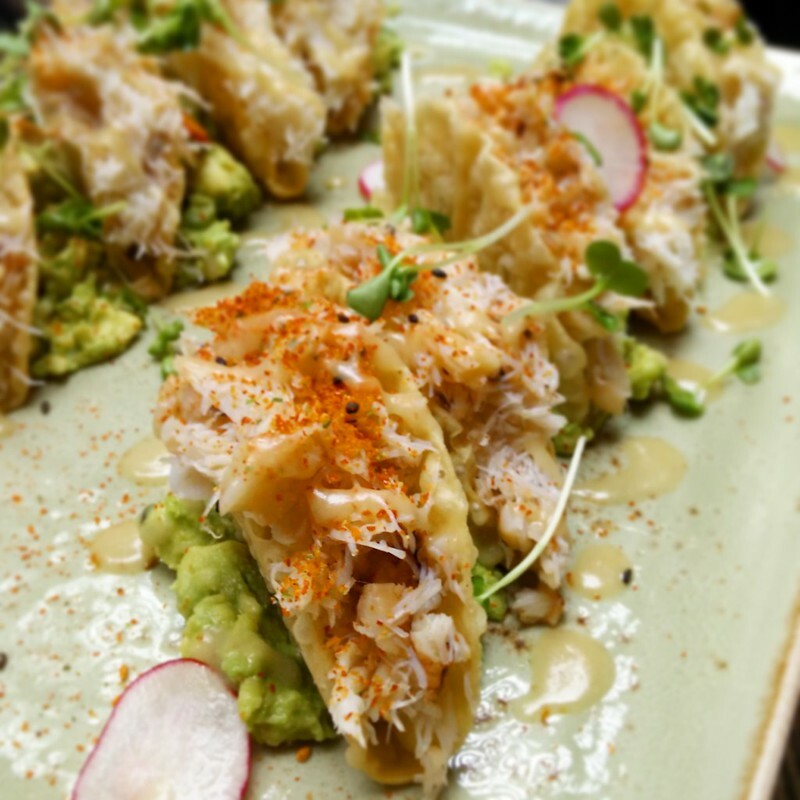 The crab was so fresh, light and slightly sweet, the taco shells crispy, savoury and the perfect vehicle and complement to what was in it. Have you ever heard of dipping noodles? Prior to my visit to Japan, I had heard about them, but I had never actually tried it. We sought out this tiny restaurant the second night in Tokyo, wandering around in circles to find it, to be met with the challenge of ordering from a machine with little English. We pressed a couple random bottoms, were surprisingly seated quickly at the bar that ran the length of the room. What followed was probably one of the best bowls of noodles I’ve ever had. The broth was thick and salty. The noodles chewy and the broth clung to it easily. 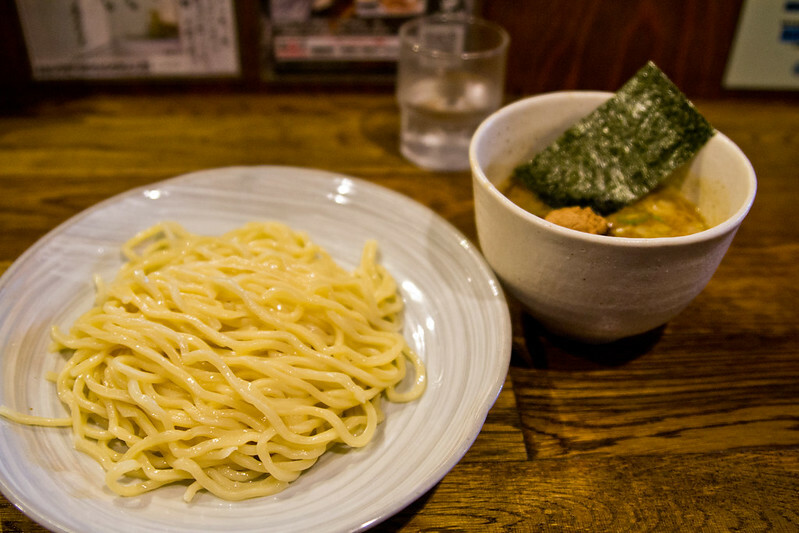 I’ve since had a couple more bowls of Tsukemen, both in Japan and in Vancouver, but none have come close to the bowl in this hidden restaurant in the basement of a building in Shibuya. 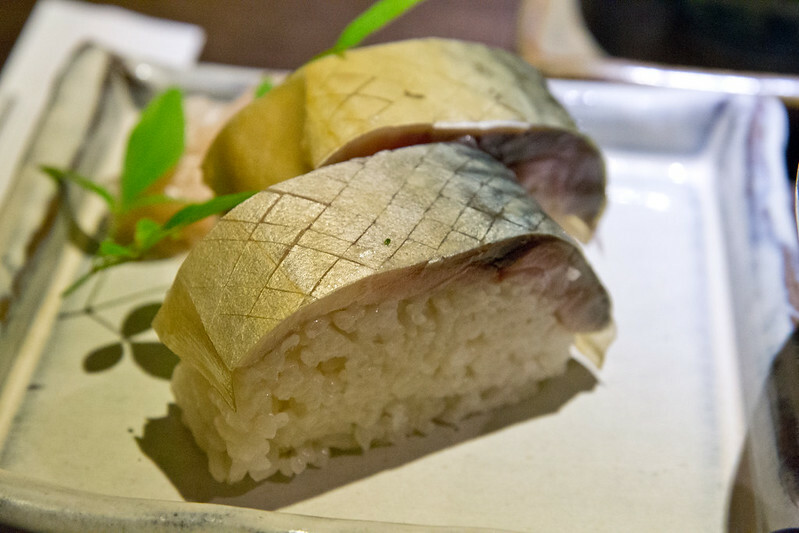 Kyoto is known for its saba (mackerel) sushi which is slightly salted and pickled. Due to being far from the city, traditionally, the people of Kyoto had to eat fish that were preserved either through salt or being dried. I’ve always been a fan of saba sushi and typically like to order it when I see the menu, the ones I had in Kyoto were fabulous. While you can find saba throughout Kyoto, surprisingly, the best pieces of saba I tasted were a side dish at a udon shop (Meidai Omen Shijo Tomachi). They were incredibly fresh with a great balance of salt to fish flavour. It was firm, but also melted in the mouth when you bit into it. So there you have it. My best bites of 2015 from my travels. What were some memorable things you tasted in 2015? Yay tsukemen! I liked it way more than ramen! I will be searching for this one that you went to when I go to Tokyo. The crab tacos and pastrami sandwich both look soooo good! I was actually saying a couple of weeks ago that I was craving a pastrami sandwich or reuben. The best one i’ve ever had was in Portland, OR! Me too! I need to find a good place for it in Vancouver. You definitely should check out that place in Tokyo when you go! 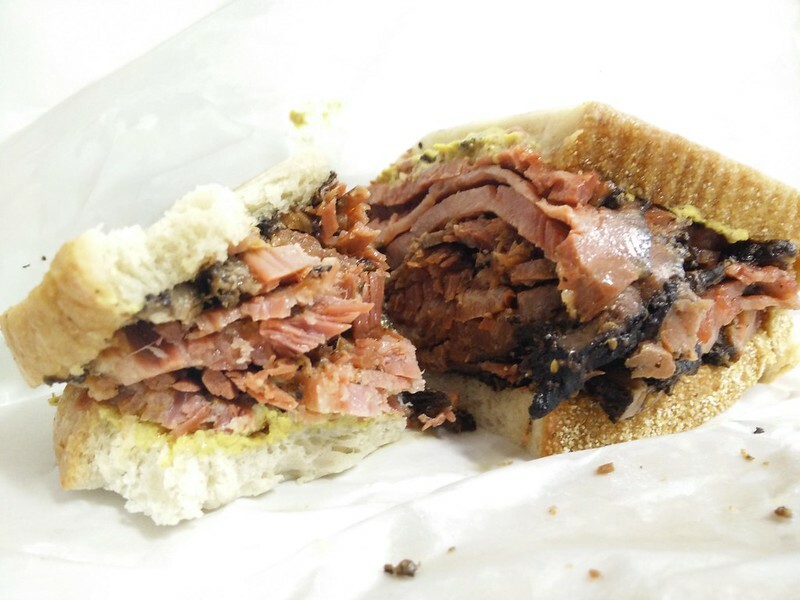 Ah, the pastrami sandwich looks so good! You were spoiled with good food in 2015 Adelina.